With the most advanced features and technology, the Delphi H2 water ionizer will provide you with years of the highest quality performance. The AlkaViva Delphi H2 has has been redesigned with Hydrogen Infusion Technology. It's brand new for 2018 and is an upgrade of the Ultra Delphi water ionizer. All ionizers have cleaning systems which are crucial to performance and durability, but all cleaning systems are not created equal. One more important advantage of AutoAdjust™, is that calcium and other minerals cannot attach themselves to the electrodes. With the electrodes switching on and off so quickly and pulsing differing widths, minerals don't have the time or stability to form a bond with the surface of the electrode. Other less sophisticated ionizer brands cause you to periodically wait for your alkaline water. The AutoClean reversal mechanism operates in the background of the Delphi H2, always cleaning and never interrupting the flow of alkaline drinking water. You never have to wait or worry. MICOM circuitry system allows for the advanced technology to function and protects your investment. Smart Sensors signal excessive temperatures either from power surge or water temperatures and shut your ionizer down to protect it. The parts within the Delphi H2 water ionizer and all AlkaViva water ionizers are of fantastic quality. They should last a lifetime. It's very rare that any of our water ionizers would have a defective part. But for your protection, all AlkaViva water ionizers have limited lifetime-parts/labor warranties. The repair/servicing depot is located in Reno, Nevada. 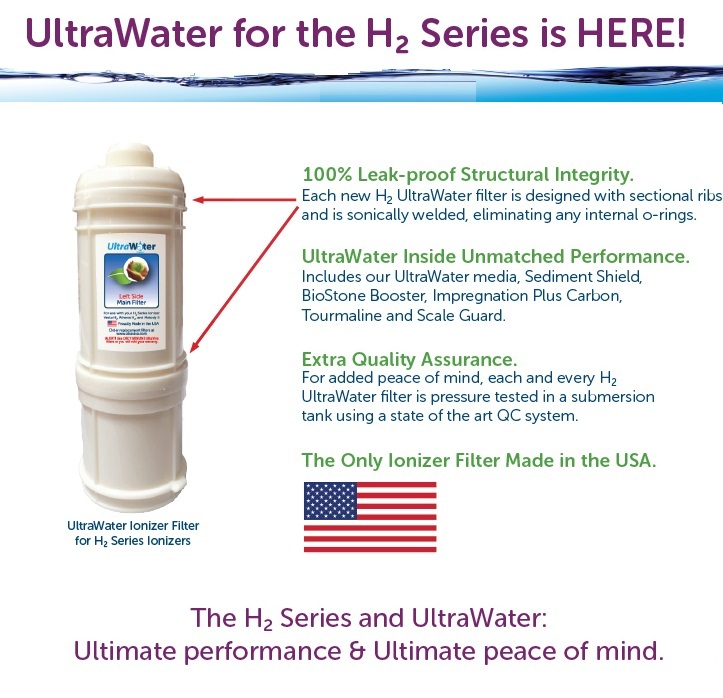 We will register your water ionizer for its AlkaViva Lifetime Parts & 5-Year Labor Warranty for you. All you need to do is email us at support@alkalinewaterplus.com with the serial number on the back of your machine when it arrives. Make sure you do this, because the warranty defaults to 1-year if it's not registered within 30 days of purchase, and if this occurs it voids your 60-day trial with us. This 24 minute video takes you through the steps of installing your new Delphi H2 water ionizer.